Hedge-Lewis-Goodwin Funeral Home has faithfully served the citizens of Webb City, Missouri for over 128 years and is the oldest continuous business in town. Hedge-Lewis-Goodwin Funeral Home, located at 301 W. Broadway Street in Webb City, sits on historic Route 66 adjacent to the Victorian Webb Home. 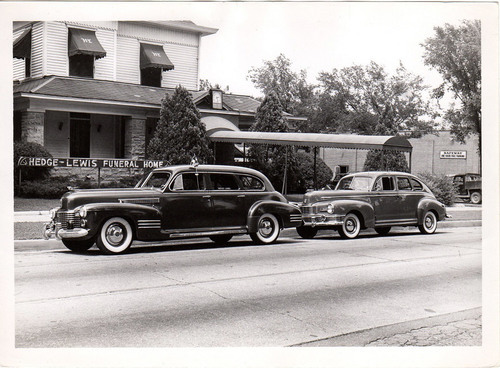 It was founded in 1888 as the Lowe Furniture Company by Mr. Hancock, who traded a team and wagon for a second-hand store that handled glassware, china, furniture and undertaking. In 1889, Mr. John T. Steele joined the business and later purchased the company, which changed the name to J.T. Steele Undertaking Company. In 1923, Mr. Steele purchased the J.C. Stewart Home at 301 W. Broadway, which is the current site of the funeral home. The firm was purchased in 1936 by Claude W. Hedge, Fred R. Nelson and Frank C. Nelson, changing the name to Hedge-Nelson Funeral Home. Hedge-Lewis was formed in 1944 when L.J. “Sonny” Lewis along with his two sons, Richard G. Lewis and L.J. Lewis, Jr., purchased the Nelson’s interest. After the retirement of Claude Hedge and Sonny Lewis, the business was carried on by Richard and John Lewis and Sam Peek. 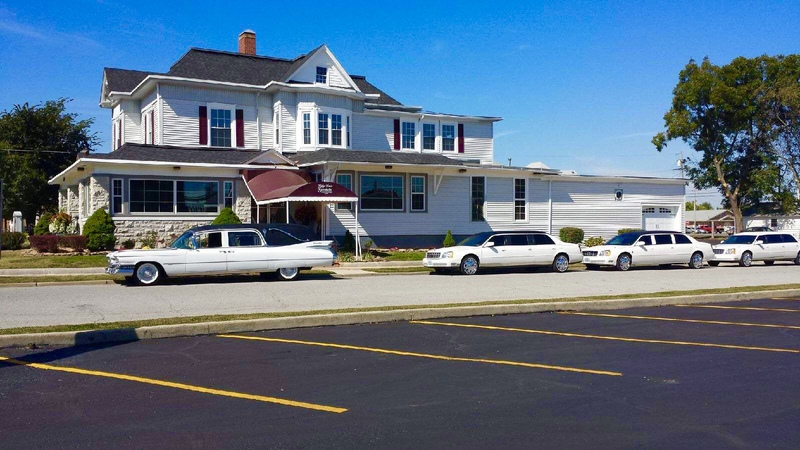 The funeral home was sold in November 1982 to Mason-Woodard Mortuary with Randy Wilson serving as manager and senior funeral director of Hedge-Lewis. On March 16, 2015, a Webb City native, Mr. William J. “B.J.” Goodwin, III, purchased the firm making it his eighth location and fulfilling his life-long dream of owning a funeral home in his hometown. B.J. always knew growing up that he wanted to be a mortician. 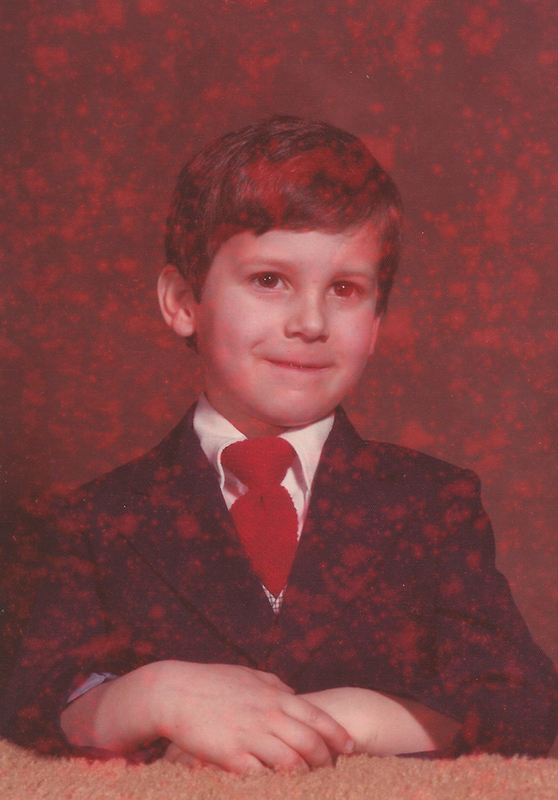 At the age of five, he received his first suit and tie for Christmas and that was the start of his dream. Today, he owns a total of nine locations in both Jasper and McDonald County. Mr. Goodwin is widely known in Southwest Missouri for his unsurpassed level of service, superior attention to detail and compassion. A 1995 graduate of Webb City High School, Mr. Goodwin began his career in funeral service at the age of 15 and is a 1997 honors graduate of Mid-America College of Funeral Service in Jeffersonville, Indiana. 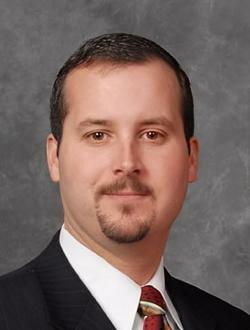 In 2004, at the young age of 27, he purchased the Ozark Funeral Homes, Inc., with five locations in McDonald County. Over the next few years, he continued his expansion with the purchase of Housh-Goodwin Funeral Home in Sarcoxie, Buchanan Funeral Home in Monett, the prestigious Thornhill-Dillon Mortuary in Joplin and Knell Mortuary in Carthage. B.J. is joined in the operation of Hedge-Lewis-Goodwin Funeral Home with his wife, company CFO and Funeral Director, Diana Goodwin, Funeral Director and Embalmer, Dan Hathcock, and Funeral Director and Embalmer, Ashley Goodwin, a first cousin to B.J.